Make a joyful noise—something for everyone! Membership is open to all 3 year olds through 5th grade. At this age, music is used to encourage a love of God. The children will learn simple musical symbols and terms (high/low, fast/slow, legato/staccato) through playing rhythm instruments, bells, games and singing. This choir also performs larger cantatas at least twice each year. This choir meets on Sunday mornings from 9:45 – 10:15 am in the choir room. This ensemble meets 2-4 times a year and plays for our traditional and blended services. Membership is open to any child currently enrolled in private string lessons or a class string ensemble. This ensemble sings 2 – 4 times a year for the 11:00 am service. This group is invitation only. Rehearsals are on Wednesday evenings from 6:30 – 7:00 pm. Membership is open to all junior high through adults. Repertoire for this choir includes hymns and choral music from the different periods of music history. Larger choral works are performed during the festival seasons of the year. The choir provides music for the 11:00 a.m. service each Sunday. Soloists and small ensembles from the Chancel Choir also provide vocal music at other services. Rehearsals are held on Wednesday evenings from 7:00 – 9:00 pm in the choir room. Membership is open to all sixth through twelfth graders as well as adults. This group leads contemporary praise and worship music for the 9:00 contemporary worship service and special events throughout the year. They perform with the praise band. This group rehearses on Sunday mornings at 7:30 am in the fellowship hall. This group leads praise and worship music for the 9:00 am contemporary worship service and special services. Volunteers are encouraged to share their instrumental talents. This group rehearses on Sunday mornings at 7:30 am in the fellowship hall. Would you like to try choir just for the summer? Our summer choir meets June – August. We will practice in the sanctuary from 10:15 – 10:45 am and sing for the 11:00 am service. What a great time to make new friends and fellowship with the wonderful members of Epworth’s Chancel Choir! Come and participate with us as we worship the Lord through song! 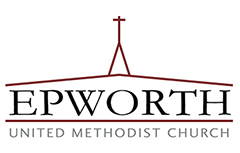 Come play in the Epworth Orchestra! We are a group of adults and youth who enjoy playing our instruments for hymns and special music several times a year in the 11:00 A.M. worship service. Everyone is invited to play with us even if you haven't played for some time. We rehearse on Mondays at 7:30 P.M. Contact Judy Bolt at 919-401-4801 or email: gajbolt64@gmail.com. Youth and adults are also encouraged to share piano, organ, band, and orchestra instrumental solos in worship. Coaching assistance is available from the music staff; coordination with private teachers is encouraged. This ensemble is an extension of our Epworth Orchestra. They perform several times a year in addition to performances with the full orchestra. If you are interested in playing with this group, please contact us. Membership is open to all youth and adults. No experience necessary! Our handbell choir meets on Wednesday evenings from 6:00 – 7:00 P.M. in the handbell room beside the Fellowship Hall. Our handbell director has more than 25 years of experience with both ringing and directing. If you know your left hand from your right hand, she can teach you to play handbells! Contact Maureen Oakes at dancingimages@yahoo.com for more information. Many people share their talents in ways other than singing or ringing. Adult volunteers are needed during Sunday worship and on weekdays. Music skills are not required for these positions. If you are interested, please contact the church office at 919-489-6557.